Hungry? Be sure to check out our list of the best restaurants open on Thanksgiving in NYC, as well as our guides to the Thanksgiving Parades in Chicago and Philadelphia too. 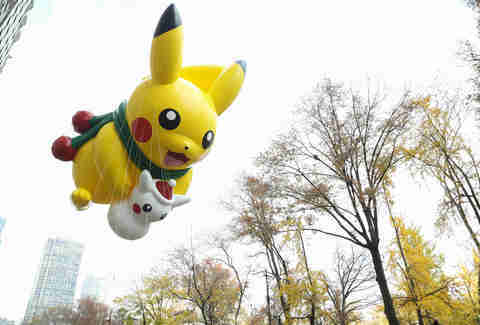 Two-thousand balloon handlers, 26 floats (accompanied by 400 float escorts), 17 giant character balloons and 3.5 million spectators will take to the streets of New York City on November 23 for the Macy’s Thanksgiving Day Parade 2017. Add to that the Radio City Rockettes, countless celebrities and (of course) Santa, and you have yourself a 2.5-mile street party through Manhattan. 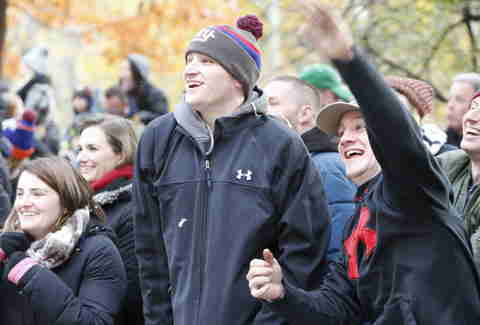 Unlike Jell-O-shot-fueled events like the Halloween Parade or the NYC Pride March, Macy’s Thanksgiving Day Parade is a completely free, family-friendly affair which brings out oodles of tourists, bridge-and-tunnel revelers, and New Yorkers alike. 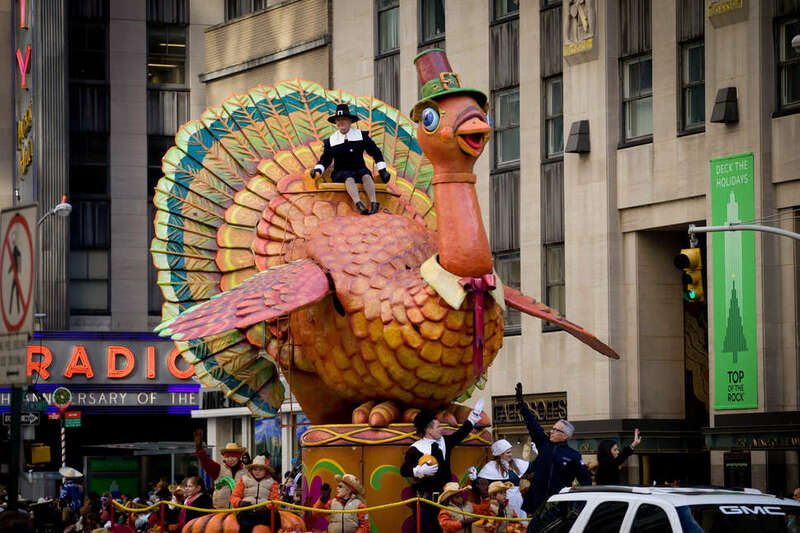 Whether you're trying to crown your NYC Thanksgiving with a TV cameo, or you’re finally ready to realize a childhood dream, here's your guide to how to wath the parade IRL. Like pretty much everything in New York City, you’ll want to plan on taking the MTA rather than a taxi, as many streets will be closed before, during, and after the parade. This day is more about eating than anything else, so plan your meal(s) accordingly. On the route itself, Quality Italian, Kingside, and Oceana are among many restaurants offering special Thanksgiving meals after the parade ends. You could also head down to Avenue B, where Old Monk will be serving a free India-inspired Thanksgiving buffet (turkey meatballs in curry sauce! cranberry chutney!) to all patrons from 12pm to 3pm. Alternatively, make a reservation at one of our top picks for Thanksgiving dinner, to save yourself from learning how to cook for one more year.